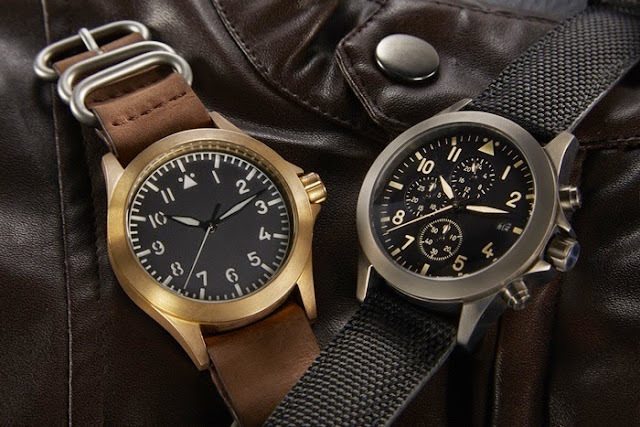 So the other day I was flipping through Instagram and I stumbled upon a picture of a brass case, type-A flieger with a sandwich dial from a company called Ventus Watches. When I landed on their profile page, I saw they also had a similarly styled chronograph. "Coming soon on Kickstarter," it said, but there was no other information. My interest piqued, I clicked "follow" and resolved to contact them. The very next day, I got a message from Elshan Tang, the man behind Zelos watches. He said he had partnered with another enthusiast to create the Caspian, the first in a line of classically designed timepieces at affordable prices. It was about to debut on Kickstarter. Was I interested? Yes indeed. Elshan has already produced three highly successful mechanical watches under the Zelos brand, so I know his work, and I know he can deliver on his promises. 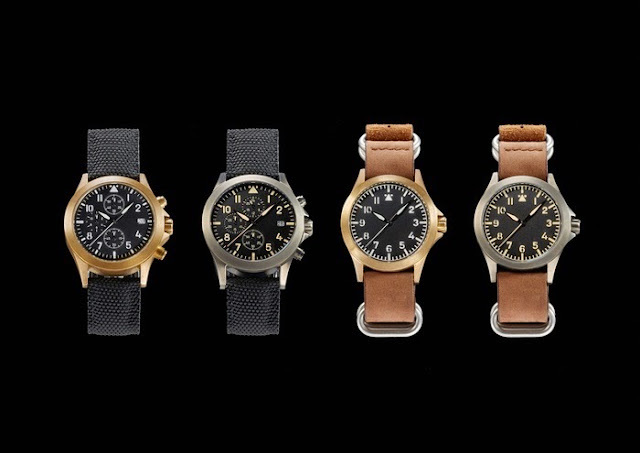 Moreover, I have been hoping to see a mechanical bronzo flieger project for awhile now. 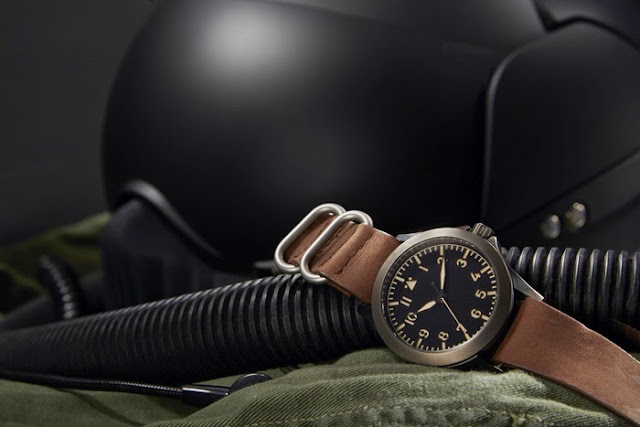 Archimede was the first, and to my memory, the only affordable watchmaker to produce one, but while their ETA 2824 powered Pilot Bronze Automatic series is lovely, it starts at over 640€/$700. Surely, a savvy micro could do better. Ventus fills this gap. The watches use brass cases, 42mm wide and 50mm long with 22mm between the lugs. They feature domed sapphire crystals, engraved crowns and case backs, and 100 meters water resistance. Brushed and sandblasted PVD finishes are offered each version. 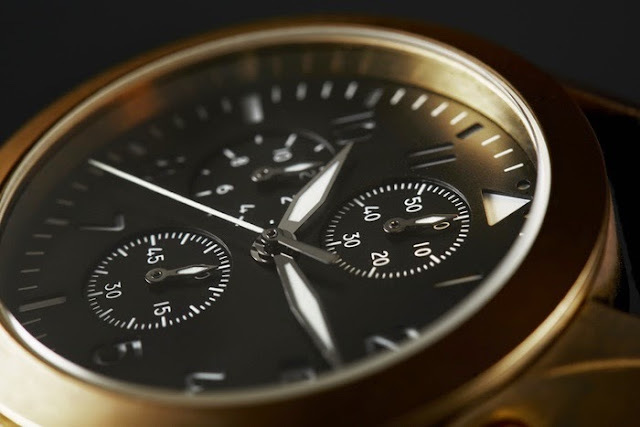 In a clever twist, the watches have sandwich dials, giving the numbers a very military looking stencil cut and revealing a layer of luminant beneath. The brushed brass models have BGW9 SuperLuminova for a white appearance in daylight and a bright blue-green glow at night. 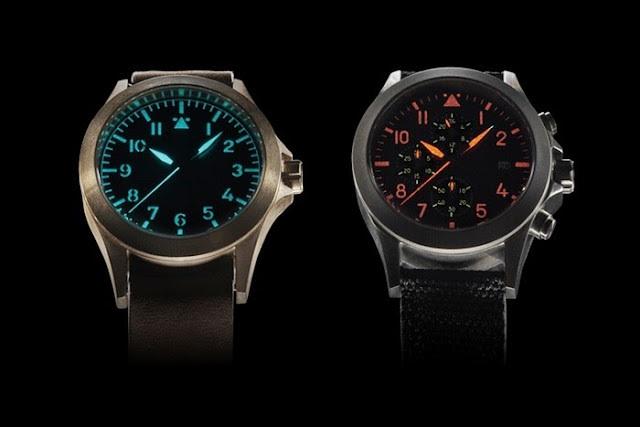 The PVD versions have cream colored luminant for an aged look and red glow. The C-01 and C-02 three-hand models use a Seiko NH35 movement. This is a hacking and hand winding variant of the venerable 7s26 automatic with 24 jewels and a 21.6k bph oscillation rate. I have had this unit in several watches and I appreciate its rugged construction and quiet rotor. Dial design is the traditional German navigator's style with dagger-shaped hands and Arabic numerals a triangle in the 12 o'clock position. The C-03 and C-04 models use the increasingly popular Seiko MechaQuartz. This three-eye, quartz movement engages a mechanical module for the chronograph function, ticking 5 times per second. This provides high accuracy, a smooth sweep, and a satisfying snap back on the reset. The Caspian series will cost $450 AUD, or @ $350 USD when they hit production, but Kickstarter backers can get theirs for as low as $259 AUD or $200 US including international shipping. This is an outstanding deal for us Yanks (thank you strong dollar!). The campaign starts Thursday, March 26 at 8:00 pm EST.